Namely it’s long been alleged that the U.S. practiced rendition and sent detainees to Egypt to be tortured. Not so! Said Karl Rove, who came on the O’Reilly Factor last night to discuss what happened, or did not happen, in Egypt. While neither were happy with Mubarak’s surprise decision, O’Reilly and Rove disagreed about whether or not people we sent over to Egypt for rendition were tortured or not, with Rove vehemently denying that any such thing occurred. O’Reilly: Maybe that’s so. But are you telling me, on national worldwide television, that the Egyptian secret police don’t torture people? Rove: Well, I’m telling you that the people that the United States might turn over in rendition to allies around the world because we don’t want to hold them here and they’re nationals that ought to be held by their people, yes, I’m telling you we take steps to make sure that they are not treated inhumanely. Does the secret police — have the secret police in enforcing the regimes authoritarian nature inside Egypt mistreated its people? You bet they have. That’s one of the problems that we have had with them. O’Reilly: I don’t know. I didn’t see it firsthand, but from every intelligence person I have ever talked to, they say the Egyptian secret police is brutal, brutal on anybody in their hands. Any extremist. Rove: Remember, Bill, there is a difference between the military, who handles these kind of things and the internal security police. O’Reilly: There is a difference. Rove: There is. One is in the interior ministry, the other is in the intelligence and defence ministry. O’Reilly: One of the CIA techniques was to tell the captured Al Qaeda you are going to Egypt. Because that’s the worst thing they could tell them. It goes on from there. But it’s worth listening to. And O’Reilly’s scepticism here shows off his strong side as an interviewer. 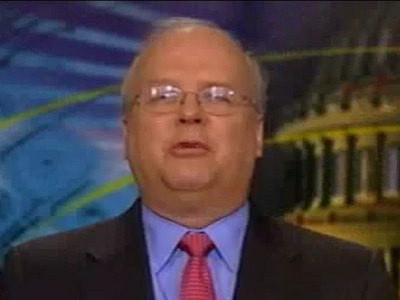 Also worth remembering (not that anyone’s likely forgotten) that Rove was a senior advisor to President Bush for almost his entire administration. If Rove admitted that any of what O’Reilly was alleging was true, not only would he be implicating himself but everyone else in the administration of abetting torture. But for him to feign such ignorance on the subject is almost insulting.